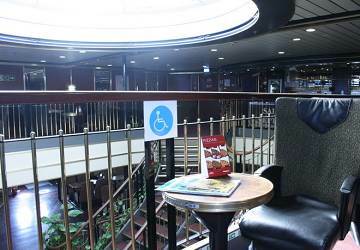 The Avemar Dos fast ferry contains a passenger lounge with choice of seats, audio visual entertainment, baby changing facilities and a bar/café. 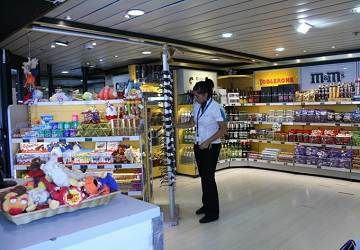 In the onboard shop you can buy gifts, cosmetics and perfumes, sweets and more. 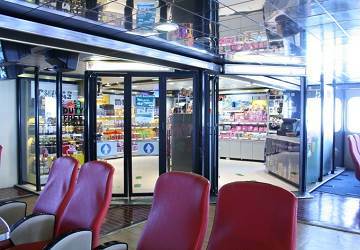 For those travelling on foot the Avemar Dos has luggage lockers which can be accessed throughout the crossing. 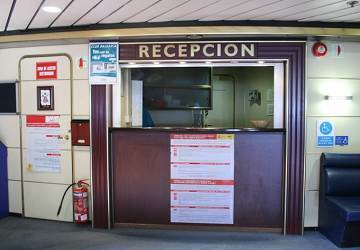 Please Note: Whilst we have taken great care in making our Avemar Dos guide as accurate as possible, onboard facilities, services and entertainment may vary depending on the date and time of year that you travel, facilities mentioned may change without notification and ferry companies reserve the right to operate vessels other than those mentioned at time of booking without prior notification. 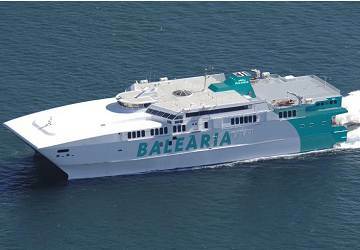 The booking process through DirectFerries was fast and convenient. All the necessary information was provided on the website. 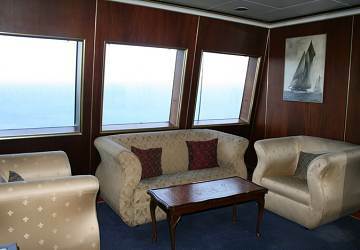 The boat we sailed on was clean, comfortable and fast. Boarding and disembarking was relatively efficient. 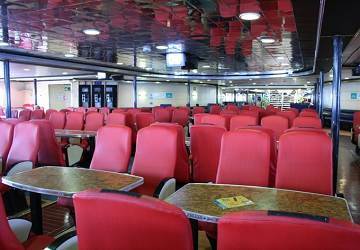 We were slightly delayed in leaving but still managed to get to Ceuta in good time. departure not on time, 80 minutes late outbound and return. The trip was fantastic. No problems and punctual.